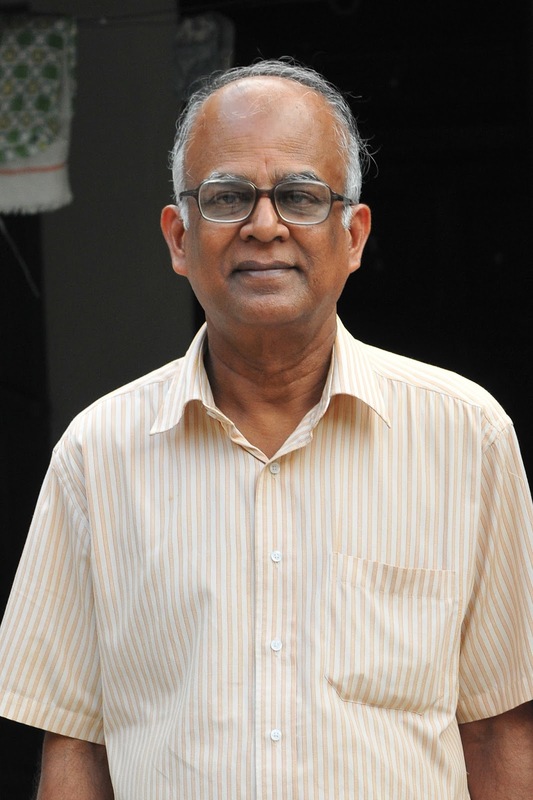 This is the second part of a two-part interview with Professor Subbiah Arunachalam (Arun), Distinguished Fellow of the Chennai-based MS Swaminathan Research Foundation (MSSRF). In his first conversation with Richard Poynder, Arun explained why Open Access (OA) is essential for Indian research, and outlined current developments in India. Here he explains where OA fits into the wider debate about the digital divide, and discusses some of the challenges confronting OA today. RP: When we spoke last time you explained how, because Indian research institutions and universities cannot afford to subscribe to as many science journals as those in the West, Indian researchers are at a disadvantage. I'm conscious that it was precisely in order to address this issue that scholarly publishers — including large commercial publishers like Elsevier, Springer and Blackwell — agreed to participate in a number of low-cost or free access schemes — schemes like HINARI, AGORA, and OARE. Have these not resolved the access problems faced by Indian researchers? SA: No. In fact, although India’s per capita GNP is less than the $1,000 figure below which free access to journals under HINARI and AGORA was supposed to be triggered, the publishers participating in the schemes have proved unwilling to provide Indian researchers with free access, on the plea that they enjoy a sizeable subscription income from India. SA: Exactly. They are only providing free access to developing countries that do hardly any science. As a consequence, they are getting undue credit for their philanthropy. RP: So what needs to be done? SA: What we have learned is that we cannot rely on the publishers to help resolve the problem. Journal publishers in the West not only overcharge for their journals — a tendency that led to the serials crisis and the development of the Open Access Movement in the West — but they are doing everything they can to stall the progress of OA. The management of the American Chemical Society, for example, appears willing to go to any lengths to stall the progress of PubChem. It is also clear that both WHO and FAO should have negotiated a better deal with the publishers. As it stands, they have not protected the interests of India; and they have not protected the interests of the other developing countries whose per capita GNP is below $1,000 and yet who are denied free access to the HINARI and AGORA journals. What organisations like WHO and FAO should do now, however, is devote their time and energy to promoting Open Access throughout the world. RP: It is not all bad news though. Last time we spoke, for instance, you said that access to the scholarly literature is improving for Indian researchers? SA: That's true. Even in India, in the past four or five years, librarians have formed consortia and taken out subscriptions to large aggregations of journals like ScienceDirect. The INDEST consortium, for instance, has enabled leading higher educational institutions in India to acquire electronic access to a very large number of journals, especially from some commercial publishers. This means that Indian scientists in some of the better institutions — such as the Indian Institute of Science and the Indian Institute of Technology — can access a much larger number of journals today than, say, ten years ago. That is a good development. But the debate has moved on. The aim now should not be simply to provide Indian researchers with access to a few more journals, but to level the playing field in terms of information access; and in my view OA archiving is the only effective way of doing that. The fact is that scientists in developing countries have the most to gain from OA, since they are currently the most deprived of access to scientific information. So while librarians in India — and in the rest of the world — have improved access a little by pushing for consortial deals, I wish they had been more proactive in promoting open access archiving. RP: One reason for this may be that many influential librarians are not sufficiently aware of the access problems faced by countries like India. When I spoke earlier this year to Catherine Candee, a librarian in the Office of Scholarly Communication at the University of California, for instance, she told me that during a recent trip she made to Asia she was consistently told by librarians there that they had no budget crisis, and that they could buy whatever journals they needed. Indeed, she suggested that some libraries in Asia are better off than those in the West. These countries, she said, "are throwing money at the problem and building wonderful national infrastructures to support universities, especially in Malaysia and Thailand. Consequently they just don't feel the financial pinch in the way that libraries in the West do." Candee wasn't talking about India, but it was striking to me that she apparently believes that some libraries in the developing world face fewer constraints on their library budgets than libraries in the US. What's your reaction to Candee’s comments? SA: This is a problem of semantics. Often in the West, the term Asia is used to refer to the Asian tigers, China and Japan and excludes South Asia! Yes, “some libraries in the developing world face fewer constraints on their library budgets than libraries in the US.” But those American libraries may have much larger needs in terms of the number of journals their faculties want them to subscribe to. A useful exercise would be to compare the number of journals subscribed to by major American university libraries with the number of journals available in the Asian libraries that Catherine Candee talks about. RP: Unlike many OA advocates you are also active in the "digital divide" debate. Where does OA fit into the larger problem of the digital divide? SA: Yes, I am among the very few people around the world who works in both areas. For that reason, when I was asked to give a talk at the Volkswagen Foundation debate on the digital divide in 1998 I spoke about how developing countries can take advantage of the new information and communication technologies to bring about rural development on the one hand, and to improve information access for scientists on the other. I made the same point at the Sixth International S&T Indicators Conference, held at the University of Leiden in 2000; and I was encouraged to see that the Conference Chair, Professor Ton van Raan immediately saw the connection I was making. RP: Can you expand on that connection? SA: Sure. If you think about it, development at its best is based on scientific knowledge and advances. For this reason Professor M S Swaminathan, chairman of our Foundation, talks about lab-to-land, land-to-lab, and land-to-land knowledge transfer. While OA will certainly benefit lab-to-lab transactions, the increased flow of knowledge will also help scientists address the problems of the rural poor. RP: And it is here that OA connects with the wider issue of development too? SA: It does. And as the former president of the US National Academy of Sciences, Bruce Alberts, has pointed out, improved connectivity in rural areas can also help farmers and fishermen to make their concerns known to scientists so that they can reorient their research to address the problems faced on the ground. So OA feeds into discussions about the digital divide, and also into the wider issue of development. Unfortunately, however, such connections did not come through very well in the discussions that took place at the World Summit on the Information Society, both in Geneva and in Tunis. RP: You referred to a debate at the Volkswagen Foundation. I think this was with Nicholas Negroponte, and the issue being debated was whether the digital revolution can solve the information problems faced by those in the developing world. Negroponte believes that providing cheap computers to students in the developing world can make a significant difference, and to this end he demonstrated a $100 laptop computer at the World Summit on the Information Society in Tunis. Do you support his initiative? SA: It could turn out be good, if it succeeds. But it has a few problems. Incidentally, Professor Negroponte couldn't join the debate. In his place, we had another equally distinguished computer scientist, Professor José Luis Encarnação, Director of the Fraunhofer Institute of Computer Graphics, Darmstadt. RP: What sort of problems do you you see for Negroponte's plan? SA: The first problem is that the minimum order that can be placed is for a million units. How many poor countries can afford that? It may also turn out to be a case of putting the cart before the horse. SA: My view is that content is king. While technology can be useful for delivering content, and dealing with it — storing it, processing it, manipulating it, exchanging it, and so on — virtually all development projects which start with a technology emphasis have failed. My emphasis, therefore, would be on the people and their needs, and then I would work out how best to use technology to satisfy those needs. RP: There have been similar low-cost technology projects before. Haven’t there? SA: Right. In India, for instance, we had the Simputer. The problem with such projects is that they often never mature for want of timely support. What I also objected to about Negroponte's approach, by the way, was how he publicised his initiative at Tunis. It was announced with a huge fanfare at a major international meeting, with no less a person than Mr Kofi Annan as the chief guest. And this was before the product was even ready! That kind of hype does not sit well with genuine development work. RP: All in all, then, you are sceptical about the benefits of Negroponte's initiative? SA: I am. The key point is that development should be holistic: you can't adopt a fragmented approach. That is why in our Information Village Research Project, we not only have knowledge centres to help people get access to the information they need, but also skills-building programmes, and micro credit programmes. RP: In other words, it's not enough to provide the tools: you also need to show people how to use those tools? SA: Exactly. What use to people is information if they can't use it to their advantage? And if they don't have the necessary skills how can they use the information to their advantage? Then, even if you have some knowledge, and you have developed the necessary skills, you still generally need some capital to set up an enterprise. As I say, development needs to be holistic. RP: You say that content is king, which is fair enough. Nevertheless, it is still necessary to provide access to that content. The logic of OA, after all, is to provide access to scholarly journals electronically. Yet too often the network infrastructure in developing countries is inadequate. Indeed, in the 1997 Die Zeit interview I referred to during our last conversation you argued that the infrastructure in India was inadequate for Indian researchers who wanted to access online research, and you gave the example of how Professor Ganapathy Baskaran, a leading condensed matter theorist, had to wait several months simply to have a telephone installed in his house. Has the technical infrastructure improved substantially since then? SA: Oh, yes. Things can and do change, and today the telecom infrastructure is far better in India. After all, how would we have been able to become the business process outsourcing capital of the world if it hadn’t? RP: So how good is the network infrastructure today? SA: Well, it is now possible to get a telephone installed in any Indian city or town on the same day. It is also possible to buy a cell phone off the shelf, and to start talking straightaway. Of course, there is considerable variation in the facilities and bandwidth available, depending on where you are. But it is now possible to get broadband connections (256/512 kbps) in all cities, and also in many towns in India. Indeed, in parts of the city of Pune they have developed a wi-fi network similar to the one being developed in Philadelphia. There are also thousands of cybercafés, which offer hourly rates as low as a dollar for three hours use! So things are improving pretty fast and now that Sam Pitroda — the man who brought the telecom revolution to India — has been appointed as the Chairman of the National Knowledge Commission, things will surely develop even faster. RP: Ok. Let's return to the topic of OA. Last time we spoke you argued that while institutional repositories (IRs) offer the best way of providing OA in India there is currently "more talk than action". To help things along, in May 2004 you organised two three-day workshops in Chennai to encourage the creation of institutional repositories. As I understand it, the atmosphere at the time was quite upbeat. Last July, however, you posted a message to the oa-india@dgroups mailing listing saying that you were disappointed that some of the IRs that had subsequently been established contained only abstracts of papers, not the full-text. You also expressed some sadness that many of those who had attended have failed to establish an archive at all, despite promising to do so. Given the benefits of OA to India, why are Indian research institutes dragging their heels? SA: What I write in the oa-india list is meant to provoke my Indian colleagues! Actually, the situation is not all that bad. As I reported at Berlin-4, there has been some progress since the workshops were held. What you have to understand, however, is that there are several Indias, and the India of academic institutions and government laboratories is not the same India as the corporate India represented by large IT companies like Infosys, Wipro and Tata Consultancy Services. By and large it takes time to change academic and government institutions in India, as it does in most developing countries! We just need to keep trying relentlessly to succeed. RP: When you and I corresponded in the wake of the workshops you said: "By placing Indian papers in interoperable archives, we can gain greater visibility for work done in India. But we also need to read papers written by scientists elsewhere, especially in the advanced countries. It is important for us, therefore, that scientists in advanced countries also place their papers in publicly available archives". Which is more important: for Indian researchers to self-archive, or for scientists in developed nations to do so? SA: Both are equally important. We need access to research produced by scientists in other parts of the world so that we can stand upon the shoulders of giants and see further. We also need to make our papers easily available to other researchers in order to gain greater visibility, and so have an impact on world science ourselves. The main difference, perhaps, is that achieving the second aim is in our own hands. All we can hope to do in terms of what happens in developed countries is to try and persuade scientists there to adopt OA, and it is great that two senators in the US are trying to introduce legislation to mandate OA for publicly-funded research. We are also very happy to see organisations like the NIH, Wellcome Trust, JISC, OSI, and PubMed Central pushing for OA in the West. We are similarly pleased to see that the European Commission now also supports OA. RP: As you say, this is a two-way street. In a paper you published on SciDevNet last year with Leslie Chan and Barbara Kirsop, you gave the example of tuberculosis, pointing out that India's National Tuberculosis Institute houses more than 100 years' worth of epidemiological and surveillance reports from various rural regions in South India. "Much of this data," you said, "is available only to a small number of [presumably Indian] researchers. If made available through an open access archive, the data could be of tremendous value for tuberculosis research, not only in India but world-wide." Can you say more about how scientists in developed nations could benefit from Indian researchers embracing OA? SA: As I said during our last conversation, today Indian researchers publish their papers in a few thousand journals, many of which journals are low impact, and have only a small circulation. While most of these papers are average, some of them will be first-rate. Moreover, in areas like malaria and other tropical diseases, Indian work is likely to be of particular value in terms of advancing our understanding of the subject. The problem is that if these papers are only available in local and/or low-circulation journals, then the rest of the world may not read them. If, on the other hand, they were easily accessible via open access channels their visibility would be that much greater. A few months ago, by the way, the people running the OA archive at the Indian Institute of Science (IISc) released some download statistics. These showed that tens of thousands of hits were coming from the USA. Were it not for IISc's archive, all those American researchers would likely still be unaware of the papers that they have been accessing in this way. RP: Part of the problem, as you point out in the SciDevNet paper, is that scientists in the developing world often face prejudice when trying to publish in mainstream journals, but are reluctant to publish in their own national journals, precisely because these local journals have less impact, and provide little in the way of international exposure to their research. Is there not an argument for Indian researchers to simply abandon the traditional peer-reviewed scholarly communication system, and post their papers directly in IRs without bothering with print journals? By doing so they could avoid the pain of being rejected by the "old boys' club" that currently controls publication in the major science journals, while achieving the higher visibility that comes from making their research freely accessible on the Web? SA: That would be suicidal. I would prefer Indian scientists to publish in the best journals whenever they can. And they should always publish their papers in refereed journals. There is a big difference between merely placing your paper on your own website and placing a refereed paper in an interoperable archive. Yes there is prejudice, and there is discrimination but, as I said earlier, things can and do improve. The American South is now very different from the world portrayed in Harper Lee’s To Kill a Mockingbird. Likewise, South Africa today is very different from how it was under the apartheid regime. A few years ago, India was seen as poor food-importing country, but today Mr Bush comes calling on our Prime Minister to negotiate nuclear deals. And corporate America is ready to invest in India, not just in manufacturing and business process outsourcing, but in R&D too. RP: There is in the West some debate and confusion about what an institutional repository ought to be. In your writing you generally use the term archive, and talk in terms of an Open Access Archive, or OAA, rather than an IR. What is the difference between an OAA and an IR? SA: I use the term archive to denote something that primarily archives research papers, and the term repository for an omnibus archive. RP: What is an omnibus archive? SA: An omnibus archive contains theses, conference papers, PowerPoint presentations, press clippings, and so on. Personally, I would prefer not to mix research papers with other types of documents, as it tends to confuse the OA message. RP: Indeed, and part of the confusion seems to flow from the different perspectives of researchers and librarians. All researchers want is to maximise the impact of their research by making it as widely available as possible, and this can be achieved by means of a simple technical solution like the GNU EPrints software. Librarians, by contrast, tend to view repositories as a species of digital library, which raises costly and complicated issues like preservation, and encompasses a much greater range of digital objects. The reslting tension between OA advocates and librarians is evident both in the West and in India: in an article published in The Hindu earlier this year, for instance, the president of the Madras Library Association, Dr A Amudhavalli, seemed to be implying that an IR is merely another word for a digital library. SA: Right, and many Indian librarians would agree with Dr Amudhavalli, I am afraid. The National Aerospace Laboratory and the Raman Research Institute, for example, have set up omnibus repositories. By contrast, at the Indian Institute of Science — where the late Dr T B Rajashekar played an important role in setting up the archives — they have created two separate archives: a GNU EPrints archive for research papers, and a DSpace repository for theses. RP: This confusion between OA archives and digital libraries is reflected in the wide range of estimates bandied around with regard to the costs of creating an OAA. Figures quoted range from $A3,000 to $A10,000 [$2,2600-$7,500], to $300,000, to $1 million. Last time we spoke you said the costs were inconsequential. Can you elaborate on this? SA: In the Indian context, the costs are not a big deal at all. Many large institutions will have a server, or can buy one for about $2,000-$3,000. Most institutions also already have an Internet connection; and existing staff can handle the work. My view, therefore, is that no major higher education or research institution in India can cite cost as a factor for not establishing an OA archive. RP: Creating an OA archive, of course, is only the first step. You then need to fill it. Again, this has proved problematic both in the West and in India? SA: Indeed. Author reluctance to self archive is a universal problem. It is like smoking and drinking: although all of us know that both are bad, and can be life threatening, smokers continue to smoke, and alcoholics continue to drink. Mere knowledge that OA is good and advantageous is not enough to persuade many scientists to deposit their papers in an OA archive. That is why mandating OA is essential. RP: There has been a lot of discussion in Europe and America about the need for research funders, governments, and/or research institutes to mandate researchers to self-archive their papers. You clearly favour mandates? SA: Yes, I am all for mandating. Indeed, it is even more appropriate for India than for the West, because close to 80% of research funding in India comes from the government. I have suggested to both the National Knowledge Commission and the Science Advisory Council to the Prime Minister that they should recommend mandating OA for all publicly-funded research. I have also recommended it to the secretaries of the departments of Science & Technology, Scientific and Industrial Research, and Biotechnology. RP: Has there been any move to introduce mandates yet? RP: Clearly you are doing all you can. In a message posted on the SPARC OA Forum you reported that during a special session on Open Access held at the 93rd Indian Science Congress, held in Hyderabad in January, an "Optimal National Open Access Policy" was agreed for India. Can you say more about that? SA: Well, we have forwarded the policy recommendation to a large number of people and institutions. The proposal is that Indian funding agencies and heads of institutions mandate OA for all publicly-funded research. It may happen within a year, or it may take a few years. But it will happen eventually. The chances are that both the National Knowledge Commission and the science establishment could play a role in bringing about a national policy of mandating OA. Unfortunately, however, the Indian science establishment is good at talking, passing resolutions, and drafting policy documents — which it has been doing regularly ever since India attained Independence — but not so good at implementation. So their action-to-talk ratio could be much better! However, if people like Professor C N R Rao, Dr R A Mashelkar and Dr Sam Pitroda are convinced, I think things will happen quickly. Incidentally, as I mentioned, Mr Pitroda was largely responsible for the telecom revolution in India, and as a result today we have tens of thousands of public call offices spread all over urban and rural India. Indeed, his achievement in doing this is seen by the Indian people as comparable to the Green Revolution (in which Professor M S Swaminathan played a key role), and the White (or Milk) Revolution masterminded by Dr Verghese Kurien. RP: One issue frequently raised in connection with OA is that of copyright. Since most scholarly publishers insist on acquiring copyright in papers they publish, this can clearly act as a disincentive to self-archiving. What's your view? SA: Yes, copyright bothers many Indian scientists and research funders. I tell them that copyright should be retained by the author(s), and should not be assigned to the journal publisher. All that needs to be given to the publisher is first publication rights. In fact, my view is that it is immoral on the part of Indian scientists to give away the copyright in papers they write with the support of Indian taxpayers. RP: As you said, most developing nations currently face unequal access to scientific information, and so would benefit from OA. I understand that you have been actively encouraging countries like China and Brazil to adopt OA. Have you had much success? SA: Yes, I have been writing to key people in China, Latin America and Africa about the need to adopt OA. I also tried to convene a meeting of policymakers from India, China and Brazil to discuss a common strategy for OA, and the Director General of India’s CSIR, and President of the Indian National Science Academy, Dr R A Mashelkar was ready to host the meeting at INSA. Likewise, OSI was ready to fund such a meeting. RP: The meeting didn’t take place? SA: No. Unfortunately, the Chinese wanted more time. I am, by the way, also talking to a number of African scientists and development activists around the world, both about improving connectivity, and adopting OA in Africa. In addition, I am trying to bring together advocates of OA, Open Source, e-Science and the information commons — all of which have similar aims, and could usefully co-operate. I am also involved in an iniative called the Open Knowledge Network. RP: So what are your hopes for the future regarding OA, and what implications does OA have for science? SA: It is only a matter of time before OA is adopted all over the world. When it is, the way that science is done, published and disseminated will change dramatically. What is now clear is that the impact of the Internet and the World Wide Web will be as far reaching as the invention of printing in Europe by Gutenberg a few centuries ago. RP: What's the end game: what would an ideal international research environment look like, and what would be the primary benefits? SA: In the ideal international research environment, scientists everywhere would have easy access to a high bandwidth Internet connection, and virtually all scientific publications would be available via Open Access. There would be also be a considerable amount of collaboration via Grid computing. At that point, information access would become a level playing field, and the benefits of science (and technology) would reach the currently unreached. I may sound utopian, but don’t you think it is well within the realm of possibility? RP: Absolutely. Given the problems we have discussed, however, I guess the key question is: what is the most effective strategy for hastening the introduction of OA in India? SA: An effective strategy for OA in India would include advocacy (to policymakers, scientists and librarians), education, and hands-on training. It would also help to occasionally bring in some overseas experts. Alma Swan, Stevan Harnad, Leslie Chan and Jean-Claude Guédon may all say what I say, but their presence makes a lot of difference! RP: Clearly, governments could play a major role in enabling OA. What should they be doing? Governments should consider the benefits that Open Access offers to science, and they should resist the pressures that publishers — and indeed some of their own government departments — are exerting to try to stall OA. I'm thinking, for instance, about the unhelpful role played by the UK's Department of Trade and Industry in its resistance to the recommendations of the UK Science & Technology Select Committee enquiry. Governments need to realise that adopting OA will maximise the return on their investment in science. RP: Finally, what's your message to researchers and research institutes, both in the West and in the developed world? Don’t fall prey to the blandishments of publishers when they offer you membership of an editorial board, or ask you to guest edit a special issue, if the journal is not Open Access. Remember that the purpose of all science is ultimately to benefit the people. Be proactive in sharing your institution’s knowledge with the rest of the world. The key point is that science and society can only progress if we all share knowledge, and build partnerships. We increasingly talk about e-Science and the information commons, but what is even more important is inclusive science — science in which no one is left behind.